Free (limited) & subscription animated lessons, virtual manipulatives to build understanding, practice, and real world application. Apps available. Free video lessons & practice, register for personalization & tracking. Free interactive lessons & practice from Learn Alberta. Free (requires registration), video lessons, games, worksheets, assessments; organized by topic, grade, material and category. Free written lessons, practice & activities. Free interactive whiteboard activities & tools. Free or paid subscription for tracking, aligns with NS outcomes. Practice with review. Free games, register to keep your progress. Free online games, registration required. Free to create & print worksheets. Definitions, examples, mark for quick access. 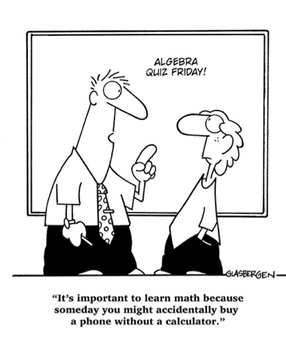 Access video lessons on all topics; choose Math, Arithmetic & Pre-Algebra. Shows math sentence for checking work, upgrade includes graphing and equation calculators. Model operations, area, perimeter, fractions, and patterns. Practice in eight main concept areas. Operations, geometry, fractions, powers, statistics. Practice operations by rolling dice to get random numbers (multi-sided dice available). Free digital worksheets for practice. The top of each page lists the Department of NS Grade 6 Math Outcomes. NOTE: If accessing game links from an iPad, a web browser that supports Flash Player is required. Does not support speak selection of webpages. Auto flash player. Supports speak selection of web pages. Must enable Flash when required by choosing the lighting bolt at the top of the browser. 0-12 times table practice, game format. Learn & practice mechanics of long division; includes remainders, decimals, repeating decimals, and decimals in divisor. All operations, arcade game style. All operations, bingo, flashcards & bubble game options. All operations, Mario game style. Drills with all operations. Purchase full game to remove advertisements. All operations, spy mission game. Math logic, problem solving, critical thinking and pattern recognition games. Word problems with multimedia content, based around a theme such as animals, trains, oceans… Each app encompasses different math concepts.